"And hoary Nodens raised a howl of triumph when Nyarlathotep, close on his quarry, stopped baffled by a glare that seared his formless hunting-horrors to grey dust." 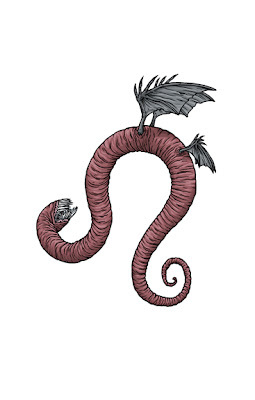 "And in the air about him were great viperine creatures, which had curiously distorted heads, and grotesquely great clawed appendages, supporting themselves with ease by the aid of black rubbery wings of singularly monstrous dimensions." "And all through the night a voonith howled distantly from the shore of some hidden pool, but Carter felt no fear of that amphibious terror, since he had been told with certainty that not one of them dares even approach the slope of Ngranek." "At any rate, when the men of K’n-yan went down into N’kai’s black abyss with their great atom-power searchlights they found living things—living things that oozed along stone channels and worshipped onyx and basalt images of Tsathoggua. But they were not toads like Tsathoggua himself. 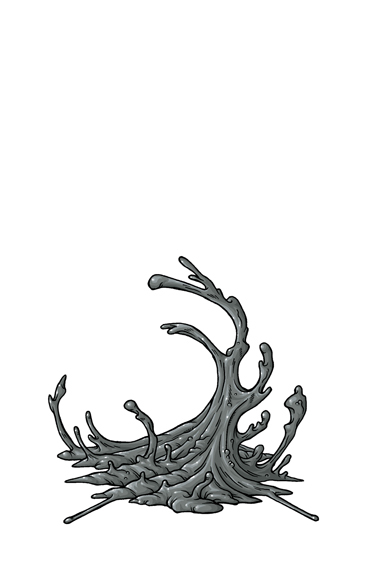 Far worse—they were amorphous lumps of viscous black slime that took temporary shapes for various purposes." 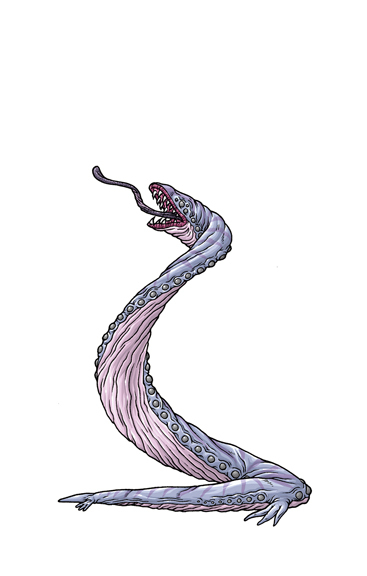 "Then two arms—if one could call them arms—likewise arose inch by inch, and we saw that the thing was not, as we had thought, a creature immersed in the liquid, but that the liquid itself had put forth this hideous neck and head, and was now forming these damnable arms, that groped toward us with tentacle-like appendages in lieu of claws or hands!" 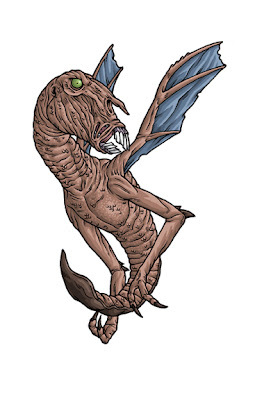 "Winged and whirring, those forms grew larger each moment, and the traveller knew his stumbling was at an end. They were not any birds or bats known elsewhere on earth or in dreamland, for they were larger than elephants and had heads like a horse's. Carter knew that they must be the Shantak-birds of ill rumour, and wondered no more what evil guardians and nameless sentinels made men avoid the boreal rock desert." "It was hard work ascending, for the Shantak-bird has scales instead of feathers, and those scales are very slippery."